There is another feature common with fusion crusts that is rarely addressed in the literature. 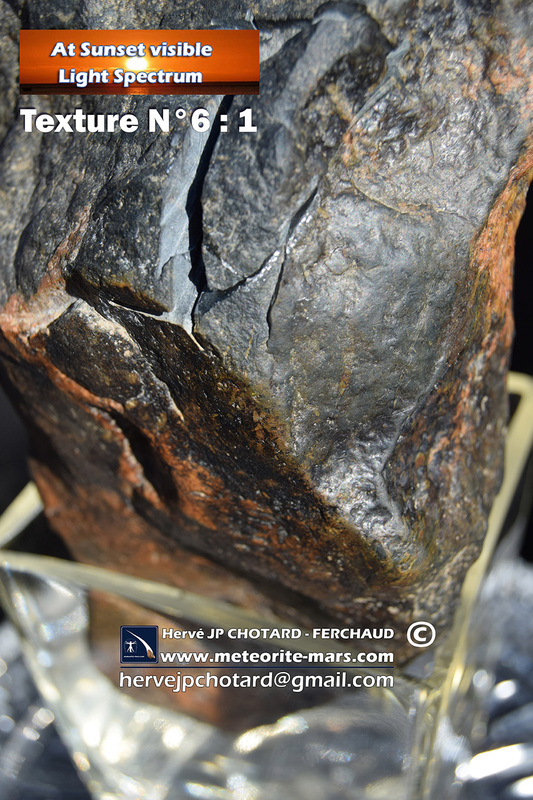 Particularly those meteorites with a very thick fusion crust of 1 mm or more often display blank patches bare of crust. The CV3 chondrite Allende is a well-known example. These bare patches often appear on protrusions and flanks of a specimen, but they occur on flat surfaces as well. The flaking is not a result of the meteorite’s impact. In fact, most of the spalling happens in flight. Other evidence for spalling of fusion crust during the flight of a meteoroid are areas free of crust that bear traces of sooting, a good sign that the spalling occurred during the final stage of the hot flight. Depending on the meteroid’s surface shape, its heat conductivity, the thickness of the fusion crust, the composition and grain size of the underlying mineral matrix and the temperature gradient the meteroid encounters during its fall, the adhesion with which the fusion crust sticks to the meteorite varies. Thus, it occurs that patches of crust are stripped from the meteoroid through atmospheric drag in the air stream. As Ramdohr (1967) pointed out, the thin magnetite fusion crust of irons is particularly susceptible to in-flight spalling. Finally, our meteoroid hits the ground and thus becomes what is called a meteorite. Often the fusion crust is damaged by the impact. Bare patches or adhering soil material will be future starting points for weathering. Depending on the hardness of the target surface and due to the low impact velocities it is as well possible that the fusion crusts survives intact. Of the large meteorite falls Pultusk, Chelyabinsk, Mocs, Millbillillie, Camel Donga, Gao, Bassikounou and Chergach for example, many specimens are known displaying no chips at all. Once fallen onto the earth’s surface, the fusion crust protects the meteorite from the effects of terrestrial weathering. Simultaneously, it is the most exposed part of a crusted meteorite, and a very vulnerable part, in fact. If one inspects the fusion crust of a stone meteorite recovered hours or days after its fall, one will find a disturbed, coarse and tubercular texture that provides the meteorite with an increased surface for the attacks of chemical and mechanical weathering. The rough fusion texture tends to bond contaminants like calcium carbonates, clay particles, aggregates of wind-born dust and dew. Despite its relative hardness, its lack of compactness makes it easy prey to abrasion through wind-borne ice crystals or saltating sand grains. 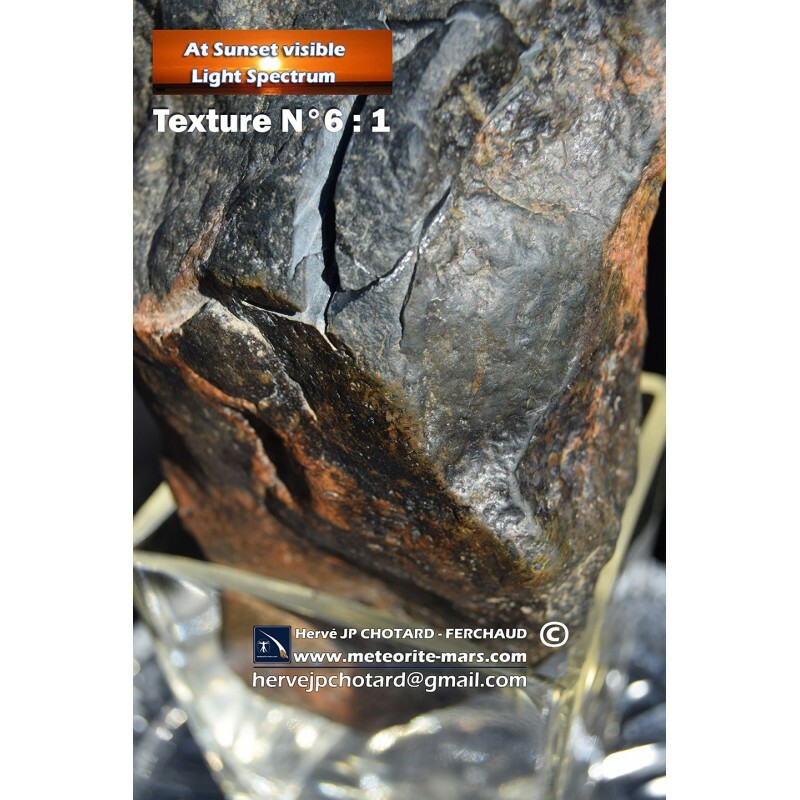 Besides oxidation, one of the first visible effects of weathering on a meteorite in arid environments with abundant quartz sand is a light polish or luster caused by saltation. The continuous impact of quartz grains erodes the outer vesicular layer of the fusion crust. While the underlying substrate is still in place, the thin, rough-textured upper layer is abraded to a certain extent by wind-borne sand. A process also known as corrasion. In areas with abundance of quartz sand, this effect can occur after only few months.